Tim "The Tool Man" Taylor would be so proud. 1. 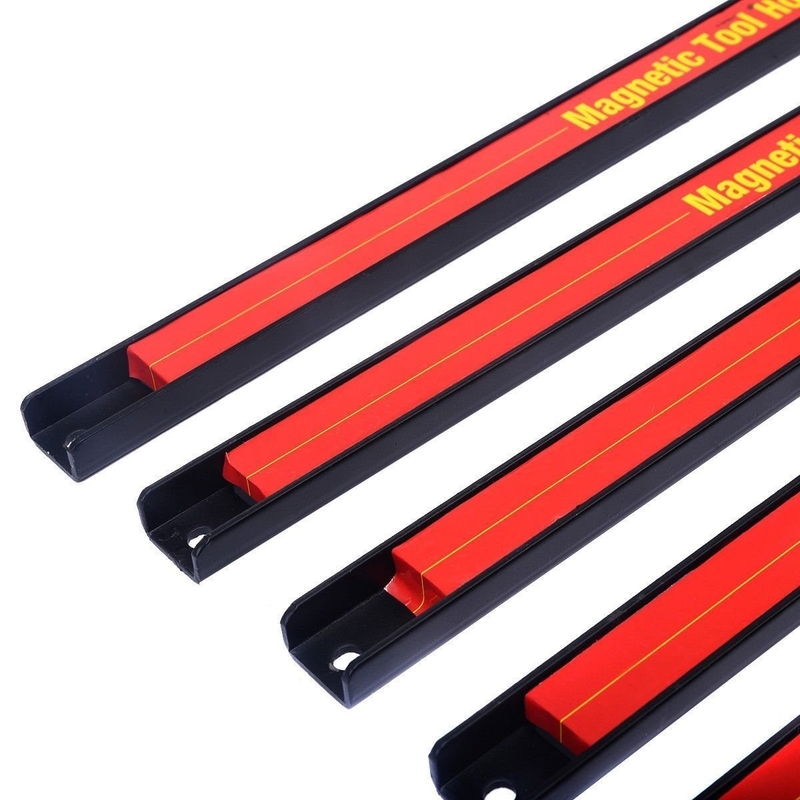 Slap on some magnetic accents to fake the look of expensive carriage-style garage doors. The anti-rust set includes six pieces, which is enough for one door. They easily release with 10 lbs. of pressure, so you can take them with you when you move. 2. 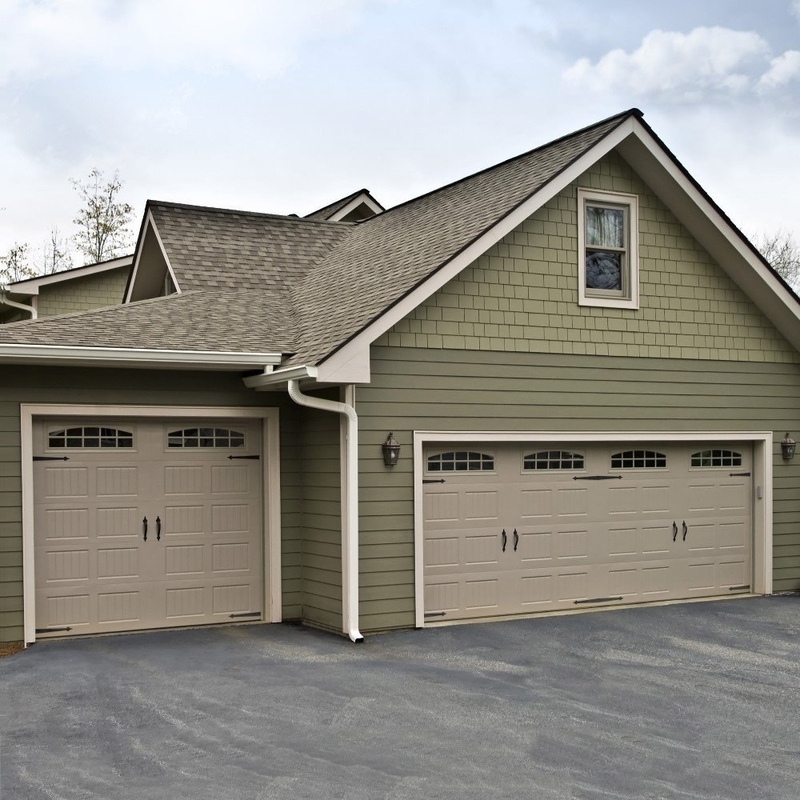 Prevent drafts, dirt, water, and unwelcome insects from making their way into your garage thanks to a threshold kit. The kit includes a 10' vinyl seal and tube of silicone adhesive. Get it from Amazon for $27.33. 3. Annihilate car oil stains from your concrete garage floor with Coke. See the full instructions on Nifty here. Get a 12-pack of Coca-Cola cans from Amazon for $4.88. 4. Paint the floor to cover up old stains and make everything look *so* much cleaner. Read the full tutorial from Clean & Scentsible here. Get a gallon of concrete and garage floor paint from Amazon for $32.98. 5. Get as much stuff as possible off the floor with ceiling-mount shelves for stuff you don't use every day. This shelf model has an adjustable 18"-33" ceiling drop, holds 600 lbs., and has a limited lifetime warranty. Get it from Amazon $179.95 each. 6. Park heavy-duty stuff on this equipment mat to prevent moisture, liquid, and rust stains from damaging your now-pristine floor. It can hold as much as four times its weight in liquid without damaging flooring underneath, including cement, brick, tile, stone and wood. Aka, it's perfect for your snow blower. Get it from Wayfair for $42.99. And get a motorcycle mat from Improvements for $79.99. 7. Coil up extension cords and easily hang them where you need them with versatile bungee cords. 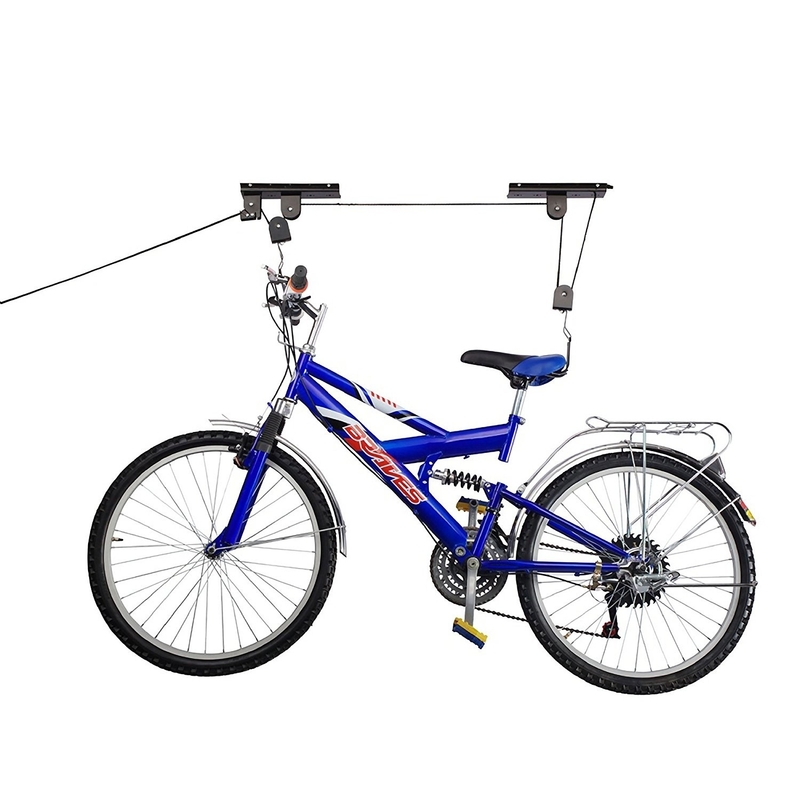 Each bungee cord and nylon hook can hold up to 100' of cord or hose that weighs in as much as 50 lbs. Get a set of three from Amazon for $19.97 (available in two colors). 8. 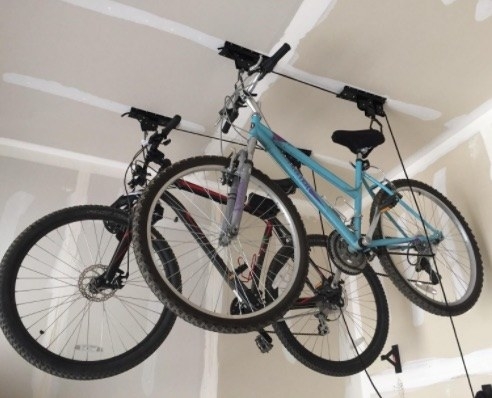 Hoist up bikes with lifts to prevent mangled wheels and make parking vehicles safer. Get a pack of two from Amazon for $22. 9. And pinpoint storage solutions for any other sports gear you have, like these kayak hanger straps. Get them from Amazon for $50 (+$11.99 shipping). 10. 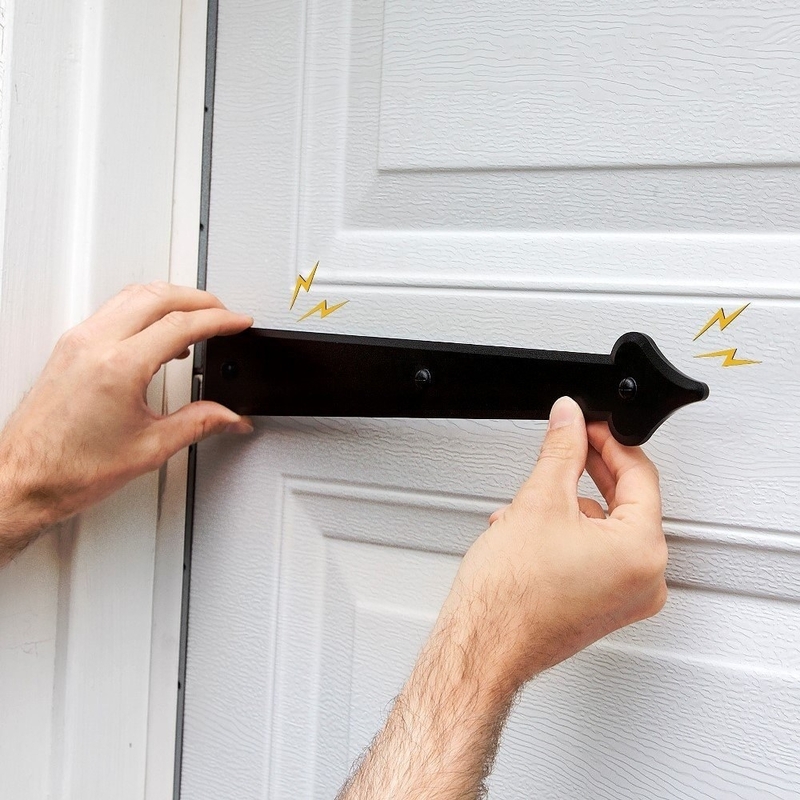 Install a wall guard to prevent car door slams from scuffing up the paint job of either the wall or car. Get it from Amazon for $6+ (also available in yellow). It comes equipped with reflective tape for easier aiming and adhesive tape so it'll stay put. Get it from Amazon for $14+ (also available in yellow). 12. And drop another hint with this flashing LED sign that spells out S T O P.
Height is adjustable up to 53", the weighted base is easy to move (when not in your car), and the lights flash when contact is made with the car. 13. 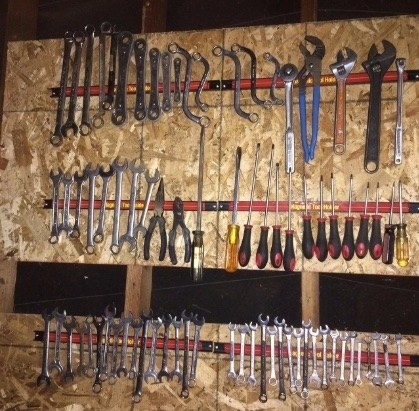 Organize hand tools by mounting magnetic strips to the wall, a peg board, or workbench so you won't have to rifle through drawers for a combination wrench. Get a set of six from Amazon for $27.99. 14. Clean up messes faster with a wall-mounted shop vac -- and make the chore of vacuuming your car a breeze. 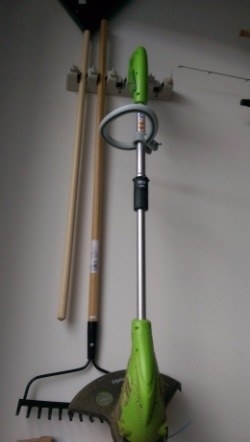 The set includes a wall-mount bracket, 18' hose for wide cleaning area, three extension wands, 10" wet/dry nozzle, round brush, gulper nozzle, crevice tool, tool bag, collection filter bag, cartridge filter, and retainer. Get them from Amazon for $47.49. 15. 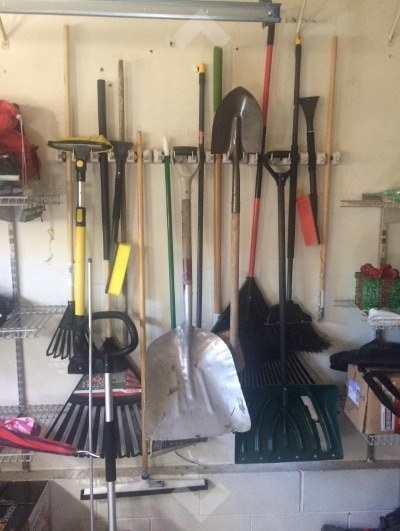 Store brooms, yard tools, and other long-handled things in this wall-mount organizer that'll get things safely off the floor. 16. Keep dangerous chemicals away from pets and kids in a sturdy, lockable cabinet and label everything inside. Label everything from half-empty paint cans to Windex to get a solid grasp on shelf life and if/when they should be tossed. But be honest with yourself about if you really need that can of paint. If you choose to toss, check out some ~safe~ disposal tips from This Old House here. This wall-mount cabinet has a steel-reinforced shelf, lockable doors, and holds as much as 75 lbs. 17. And while you're at it, label the light switches you always mix up so you can finally tell the porch light from the garage light. Get a label maker from Amazon for $13.66. 18. 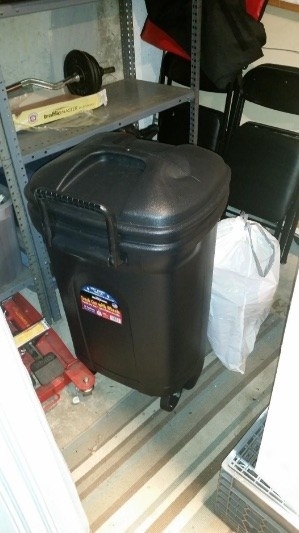 Put a proper trash can in there so you can easily dump stuff from your car (or other activities) without tracking mud inside the house in pursuit of a trash receptacle. This heavy-duty model has a locking lid so the family dog can't have a field day with its contents. 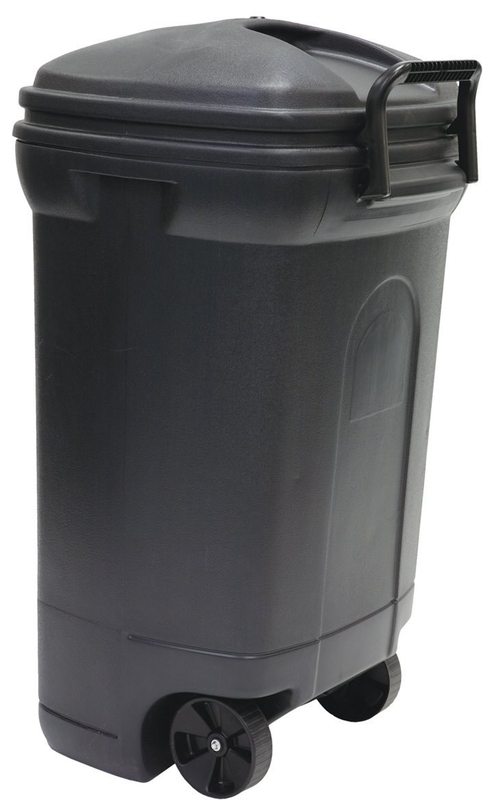 Promising review: "Good garbage can, with a good lid. The wheels make it easier to empty and transport. Large size, but not too wide. I like that it is taller rather than wider, so that it can fit more easily in many kinds of spaces." —Tina the S.
Get it from Amazon for $23.73. 19. Tidy up your recycling corner with these stackable bins your family can color coordinate for paper, plastic, and glass. Get them from Walmart for $39.99. 20. 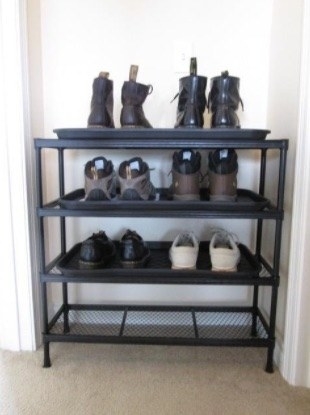 Park your *outdoor* footwear on a sturdy shoe rack before you go inside the house—it'll be a makeshift mudroom. 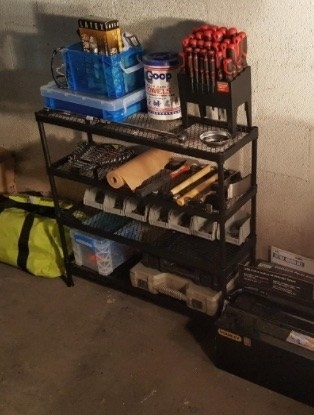 This shelf is sturdy enough to hold shoes or your other lightweight garage essentials. 21. And place a welcome mat on *both* sides of the door that connects your garage to your house to avoid dirty footprints. This one is already pretty dark, so a little -- or a lot of -- dirt won't show too badly. Get it from Amazon for $19.99 (available in a variety of designs).